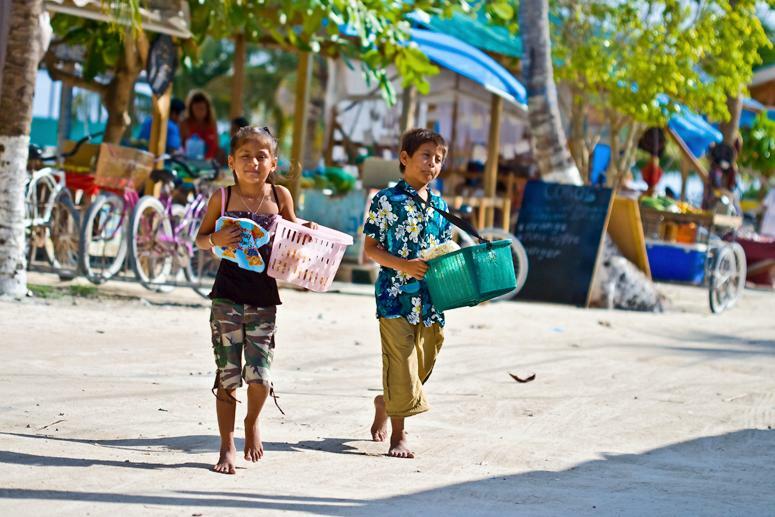 Children selling "coconut fudge" on the beach on Caye Caulker. Very cute girl spotted me taking photos of her and walked right up with the cutest smile ever. Of course we had to buy from her even though we had just stuffed ourselves with fresh grilled lobster and tropical drinks at a local spot. Photograph by Tom Blackledge M.D.